We believed in it since the start. We had a strong faith in our product, the feature set, the support quality, and the stability of Aptus FonB. We started just a year back. Our first stable release was presented to our users merely 4 months back. And here we are.. just in a very short span of 4 months, we have covered a long journey to grab ourselves a great award. 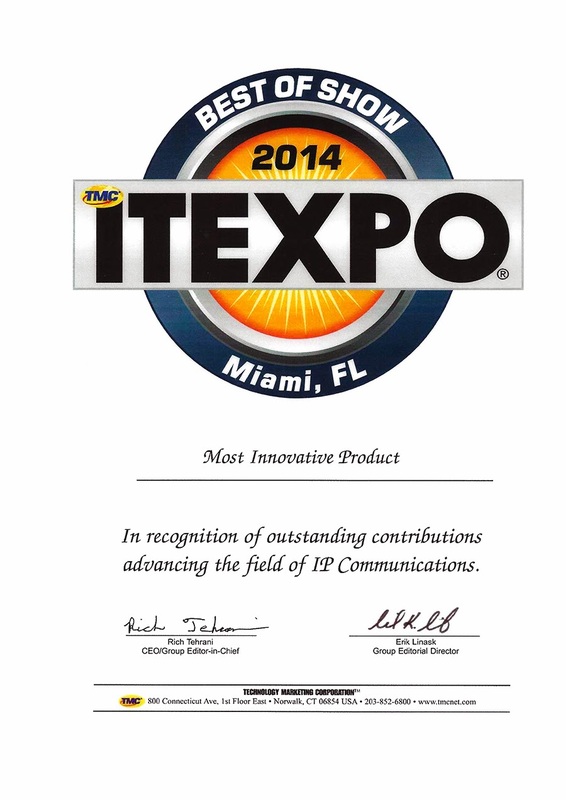 Aptus FonB has been announced as ‘The Most Innovative Product of the show’ at ITEXPO Miami (28-31st January, 2014). We are a Dubai based company with exceptional development resources and a limitless faith in our product. We participated in the event and we are very proud to inform you that our booth was one of the busiest and most visited booths by the audience in Miami. Many Big names were attracted to us including Mr. Billy Chia of Digium, our good friends from Elastix, Yeastar, and the man behind Asterisk, Mr. Mark Spencer himself. We tested one of our new releases on the show while demonstrating the product and it was later made public next Friday. We are Phonebook Solution Providers who have introduced a new concept of product line to the Asterisk Community. We integrate your contacts from your iPhone, Android, your CRM, Asterisk Extensions, and your company wide speed dials, and we bring them for you on a single platform. This single platform is available in three different forms depending upon the telephony device you want to use. We provide a web interface, a mobile application and an XML based IP Phone App from where you can manage these different types of contacts. As a further step towards Unified Communication, we also provide you an option to interact with these different contact types by making, receiving, or even switching calls seamlessly without the other party noticing the call switch. In fact this was one of the most interesting products along with Contact Management. Our users, clients and partners are aware of the power residing in FonB. We invite you to have the experience as well. You can try FonB anytime, available for 5 users - 30 days trial.